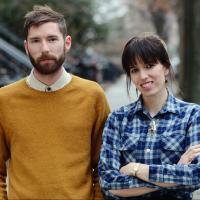 Sarah-Violet Bliss and Charles Rogers are filmmakers based in Brooklyn who met at NYU Graduate Film school. They have each written and directed award-winning short films that have screened at festivals such as Telluride, Sarasota, and Aspen Shortsfest. Fort Tilden was conceived and produced last summer and is their first collaboration.